CLOSEOUTS. 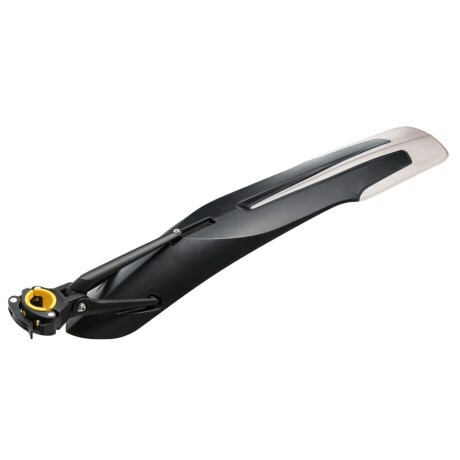 Lightweight and removable with exceptional mud and spray protection, Topeakand#39;s DeFender XC11 rear bike fender includes a polished underside to prevent mud buildup and enable easy cleanup. Available Colors: SEE PHOTO.